NSW Metro captain Ollie Davies stole the show with a sensational double-century on the opening day of the 2018-19 Under 19 Male National Championships in Adelaide. Davies blasted 17 sixes - including six in one over - on his way to 207 off just 115 deliveries against the Northern Territory at Glandore Oval. His knock, and 99 to Sam Fanning, led NSW Metro to 4-406 from their 50 overs. In reply, the Northern Territory managed 238, with Daniel Mylius scoring 48 not out. There were plenty of highlights on the opening day with both bat and ball. 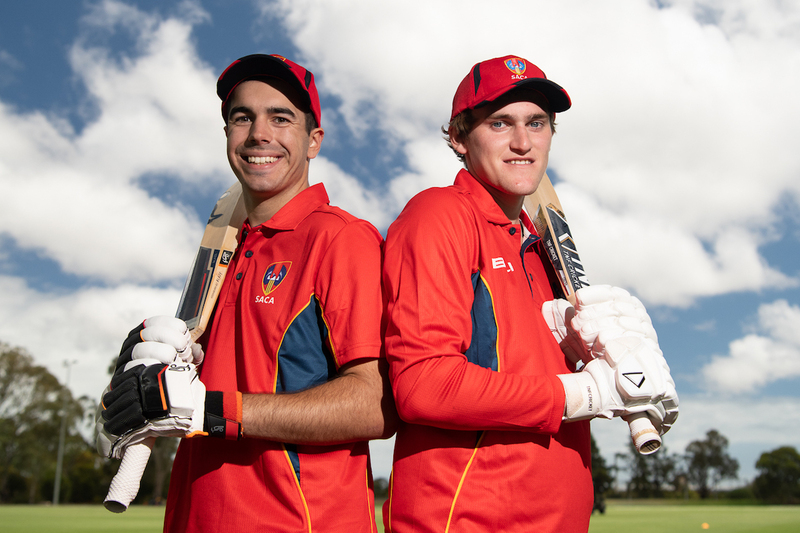 At Park 25, the hosts South Australia dominated Western Australia to post a 178-run win. Skipper Henry Dall (109) and vice-captain Bailey Capel (138) took the boys in red to a total of 9-300, despite a five-wicket haul and hat-trick to Eric Botha (5-48). In reply, Western Australia had no answers to rising Redbacks' star Lloyd Pope, who picked up 6-31 to dismiss the team from the west for just 122. Tasmania captain Keegan Oates starred with bat and ball in his side's seven-wicket win against the Cricket Australia XI. Oates claimed 3-29 to help dismiss the CA XI for 215, before finishing 99 not out as his side comfortably chased down its total. Lewis Drury (54) also contributed with the bat for the Tasmanians, while Will Sanders top-scored with 65 for the CA XI. ACT/NSW Country took the points against Victoria Country, winning by four wickets. Marty Jeffery led the run chase for ACT/NSW Country with an unbeaten 43, while Paddy Rowe scored 89 not our in Victoria Country's total of 4-210. Queensland also scored a four-wicket win, accounting for Victoria Metro. Max Clayton's 81 not out was crucial for the Maroons, in chasing down the Vics' total of 9-212. Donovan Toohey top-scored with 83 for the Vic Metro side, while Blake Edwards (3-47) and Matthew Willans (2-18) starred with the ball for the Queenslanders.